Drummer Mark Guiliana, who has appeared on more than 30 recordings and recently partnered with pianist Brad Mehldau in the duo Mehliana, will launch his own label, Beat Music Productions, on Sept. 2. The maiden releases on the label will be two albums led by Guiliana, My Life Starts Now and Beat Music: The Los Angeles Improvisations. Guiliana will celebrate the launch of Beat Music Productions with gigs August 28 and 29 at the Blue Whale in Los Angeles and September 8 at the Blue Note in New York City. On My Life Starts Now, which includes 14 original compositions, the band features Guiliana on drums and electronics, Stu Brooks on electric bass, Yuki Hirano on keyboards, Michael Severson on guitar, the voices of Jeff Taylor and Gretchen Parlato and spoken word from Meshell Ndegeocello. Beat Music: The Los Angeles Improvisations was recorded Aug. 19, 2013 with Tim Lefebvre on electric bass, Jeff Babko on keyboards and Troy Zeigler on electronics. 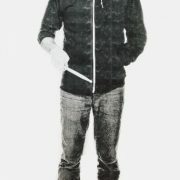 Future projects will include the debut album from the Mark Guiliana Jazz Quartet (featuring new compositions from Guiliana for an acoustic quartet); a solo electronic recording (an exploration of experimental beats and ambient textures); and the second album from Heernt, Guilianas experimental-garage-jazz outfit. For more information visit MarkGuiliana.com.